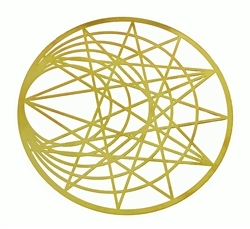 Beautiful 18 karat gold plated Enneagram Cut Out Sacred Geometry symbol. Size: 4 inches by 4 inches by .01 inches (thinner than a credit card). Comes with a free new thinner rust-proof stainless steel display stand. 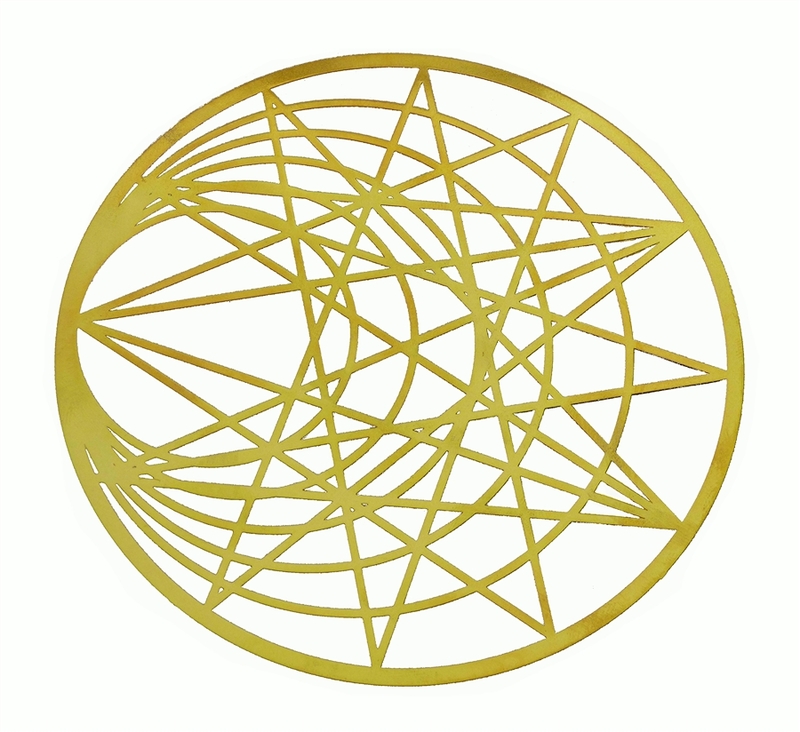 *This design is symmetrical, however, in order to capture the best likeness of the item the photo has been taken at a slight angle.